This time has been such a roller coaster of emotions for us. We are safe and dry here in Dallas, but are reeling with grief for our neighbors in south Texas. There are always friendly competitions with sports and different accents and jokes between Texas cities, but being "Texan" means we are all one giant family. And when another Texan hurts, we're all hurting alongside them. With our first day of school starting this week and being excited to welcome back our students, there has been much to be grateful for...but, there has also been so many tears shed in my office and home as we continue watching the devastation, checking on family and friends, praying for the responders and seeing what we can do to help. I am a strong advocate for money and funds being poured into reliable first response disaster relief efforts, NOT donated items. Sending unwanted items is usually a devastation in itself, so please PLEASE please refrain from haphazardly sending items to our friends down south, unless a specific request is made from a reputable source. (Why not?! HERE's an in-depth look at what that can mean for those left in devastation zones) Money and gift cards are vital, especially in the early stages of a natural disaster. Many companies are using items they normally sell to raise money for different entities responding to Harvey. 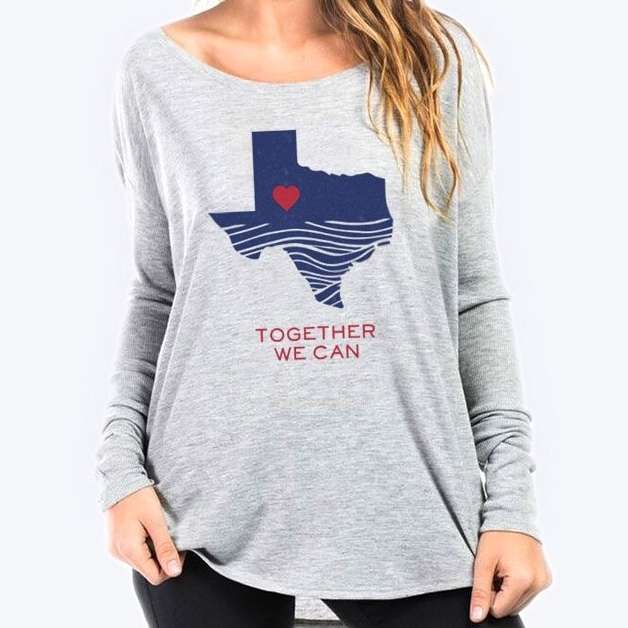 If you're looking to shop for something to support, here are some that are giving proceeds to support efforts in south Texas. I think it's so important that we not be discouraged, even facing such a huge and ongoing battle. While the worst of mother nature is here, the best of humanity can also be found. I wanted to share stories full of hope because people and good and we love each other and we need more beautiful stories in times like these.